Maternity sessions capture the beauty and miracle of pregnancy! This session typically lasts an hour to an hour and a half with 1-3 looks. 1 week after your session, photographer will post 30-70 color-edited images to a password protected viewing site where client will select their favorite images. DNP will fully edit your selections (blemishes, stray hairs, distractions, etc) and provide your images on a a private, password protected download collection via email for an additional price. The full session fee is the deposit that will be required to secure your appointment. The deposit is non-refundable and non-transferrable. Hair and Makeup Stylist is available for an additional $125.00. 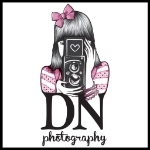 Danielle Nicole Photography clients can expect to spend from $200-$1500 between sessions, prints, digital files and specialty products. Final, full resolution, fully edited images will be delivered as a private, password protected download collection via email.